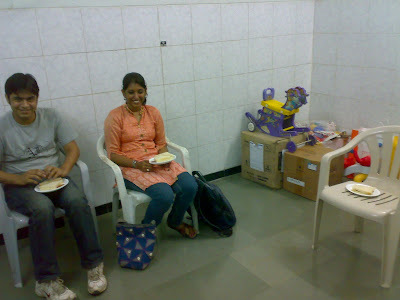 Toybank sets up a toy library at Deenanath Mangeshkar Hospital, Pune! 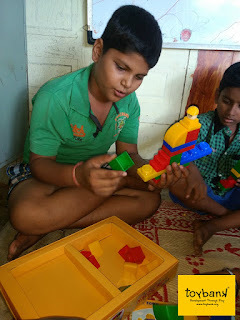 Few months ago the play therapy department of Deenanath Mangeshkar Hospital, Pune approached Toybank with a specific list of toy requirements. The toys were going to be used to help the doctors to conduct play therapy sessions for cancer patients at the Hospital. 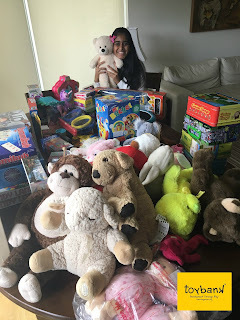 IBM's On Demand Community's toy collection drive in July at its offices in Pune and the toy drive at Eisha Empire, Hadapsar, Pune helped us pick up the right kind of toys! These were wrapped by IBM's employee volunteers. On 18th of Sept around 10 Toybank volunteers headed off with around 55+ toys to set up a toy library for the kids at the hospital. Around 7 of our volunteers had personally donated the toys too! 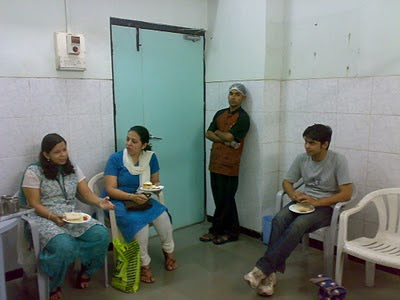 Our volunteers met up with the doctors and learnt more about the play therapy programme. They also met the kids around in the wards. Catch many more glimpses here. The toy library is now set up and the children have started using the toys from the library! All of us at Toybank are so happy to see the smiles :). We thank DM hospital and the play therapy dept for giving us this wonderful opportunity! Thanks DiDo :) Keep watching this space for more updates from October! We hope that you have already written to us on mail@toybank.org or bombay@toybank.org. We have an event coming up next week. You can join it if you can!